A.R. 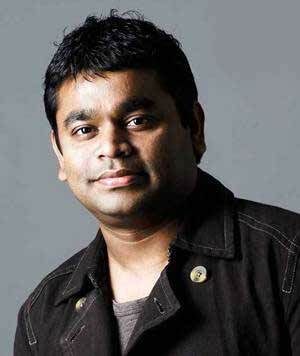 Rahman is just incomparable as a music composer, says "Slumdog Millionaire" director Danny Boyle, adding that the Indian music maestro has created "deliberatively manipulated moods" for his new film "127 Hours". Rahman, who won two Academy Awards for doing the soundtrack for "Slumdog Millionaire" in 2008, came in for high praise for his music in Boyle's new film "127 Hours" which premiered at the Toronto Film Festival (TIFF) currently under way here. "It is quite rare to watch someone who is so musically just extraordinary really...and he inhabited the world (in '127 Hours') we are trying create silence with...sometimes there is silence, but sometimes it is a kind of ambience silence he created," said Boyle of Rahman. "And all the time, Rahman created very deliberatively manipulated moods to reflect his characters or pushed in through something." The British director said soundtrack is the most vital part of a movie. "It doesn't matter what we all do visually. One thing I have learnt in my career is that 70 percent of the movie is sound. Cinematographers will hate it....but it is absolutely true. "It is an ordinary piece of advice I always give to filmmakers - who are starting off - to save some money for the sound with you. At the end, it is extraordinary how it (sound) means to people." "127 Hours" is a real-life 127-hour-long nightmare of American accomplished climber Aron Ralston who embarked on a solo adventure in 2003 and ended up trapped inside a deep canyon in Utah state, with his right arm crushed by a boulder. During his relentless struggle to free his arm from beneath the boulder, he ran out of water and drank his own urine to survive. After failing to cut off the trapped arm and losing all hope of ever getting out alive, he started videotaping his last hours. Finally, he managed to cut off his arm to free himself after five days. "The Pineapple Express" star James Franco plays the role of Aron Ralston in this compelling film with powerful cinematography and soundtrack.